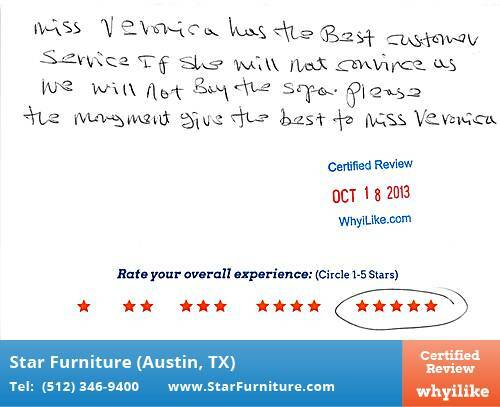 Miss Veronica has the best customer service. If she will not convince us we will not buy the sofa. Please management give the best to Miss Veronica.